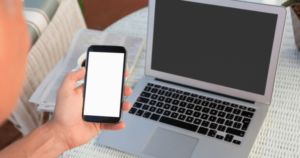 Home/SEO/Everything in the SEO industry shouldn’t be mobile-first – Who said desktop is dead? For majority of the SEO strategies, mobile has definitely become the key focus area and if you notice around, it’s easy to see why. Google had recently announced that the entire SEO industry is following the mobile-first approach and there can be no better indicator of the position of the mobile as the premium device in 2017 and even beyond. If you add other developments like Progressive Web Apps and Accelerated Mobile pages, the scene will get clearer for you. Therefore, mobile SEO needs an entirely separate approach as against its desktop counterpart. Although the two complement each other, there are several factors which are unique to mobile SEO and which make it distinct and disparate from the others. There are many search engine marketers which adopt the view which says that businesses require having a mobile-first mindset. Are the target audience using smartphones to purchase things, research on things or for doing both? Are the target audience using mobile devices only during specific times in a day? What sort of role is played by the different devices and how do they guide the customers through the journey of purchase? Does search behavior on mobile differ from territories and product lines? Does the mobile marketing strategy include the complementary relation between desktop and mobile? What is the role played by mobile SEO as compared to different channels like paid search and social media? Keeping all the above points in mind, are you spending too much time crafting the best desktop experience? If you take a look at things in a proportional manner, it is true indeed that mobile is consuming a larger pie. Something that we don’t realize is that this share is increasing day by day. To put it in layman’s terms, the internet is consuming too many days of our year. Research reveals that we spend more time on hand-held devices than on desktops and this behavioral trend is growing with each day. If you take a closer look at the statistics, you will see that the total time people spend on laptop and mobile was almost the same in 2016, just as what it was in 2008, having a similar kind of fluctuation all the way. This is not a statistic which the users will get excited about but customers need to know the kind of devices that people use. In what way are people utilizing their desktops? Hence, we see that the usage of mobile is growing and that of desktops and laptops is usually stable. In what way are most of the consumers using such devices when they’re taking purchasing decisions? As per a statistics it was revealed that among 49 trillion seconds spent online, visitors who are accessing the web from their desktop usually spend 2 times longer on any website than the visitors who are visiting on their mobile and hand-held devices. Hence it is clear when one says that the mobile strategy is not well-focussed and hence their digital strategy still seems to lack. Marketers have to decide the pages which are going to be catering to mobile devices as consumers on desktops usually have longer span of attention. Therefore, the saying that desktop is dead is nothing but a far-reaching truth. Marketers need to change their strategies for every page as per the usage of the consumers.